Andrew honoured for going the extra smile. Former bingo caller Andrew Roberts has a truly winning smile. Andrew, 33, from Rhostrefor, in Gwynedd, has been named as a champion smiler at Pendine Park. His infectious grin and cheerful nature lights up the lives of residents and colleagues at the Bryn Seiont Newydd centre of excellence on the outskirts of Caernarfon. 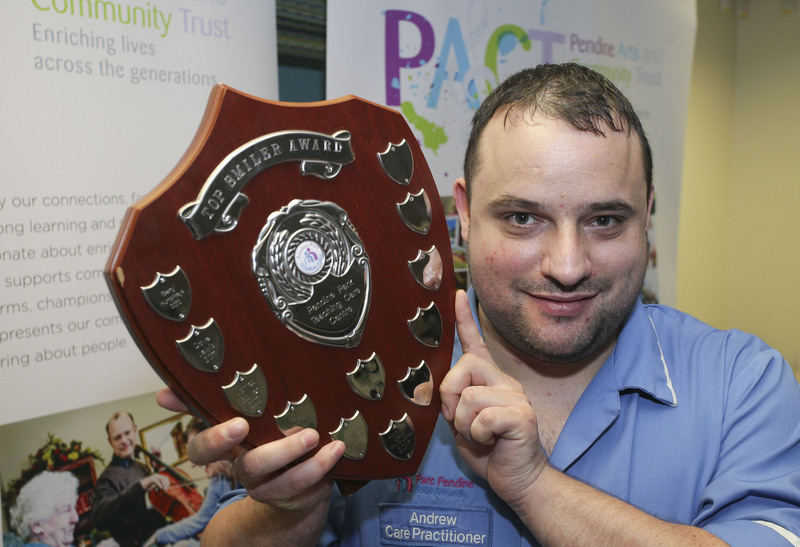 Andrew Roberts, from Rhostrefor, has been voted the most cheerful member of staff at the Pendine Park home. 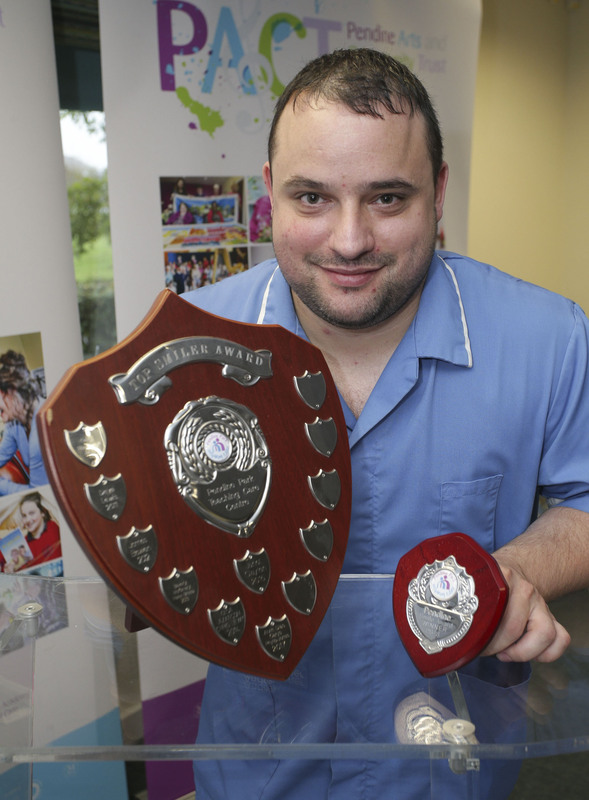 He received his awards – and a trophy shared with Pendine colleague Catherine Jones who works at the company's Highfield home in Wrexham - when the acclaimed care company which employs over 800 staff across North Wales held a special celebration at their Wrexham headquarters. The pair received an overwhelming vote of support from their work colleagues, residents and visitors to the company's care homes in Wrexham and Caernarfon. Andrew gave up bingo-calling for care four years ago and now loves working at Bryn Seiont Newydd. He said: "I was a bingo caller for 10 years but I was going nowhere and just went into care by chance and I took to it straight away. "I really enjoy my work. I love everything about looking after people and making sure they're happy. "Hopefully if I've got a smile on my face and am happy it can give other people a laugh too and I think the bingo calling helped with that and in fact one or two of the residents here used to go to the bingo too." Father of two Andrew and his partner are engaged and expecting a new addition to the family. He has just qualified as one of Pendine Park's first Care Support Practitioners and plans to advance his careers with the go-ahead company and he said: "It's very fulfilling work and it's been really fantastic working with Pendine. "It's very motivating and that's what keeps me going because the training has been hard and very thorough and has really helped me and now I want to further my career and I would like to go into nursing." "We aim to reward those people who in good times and bad don't lose sight of the importance of smiling and laughing and who inspire others through their warmth and their kindness."